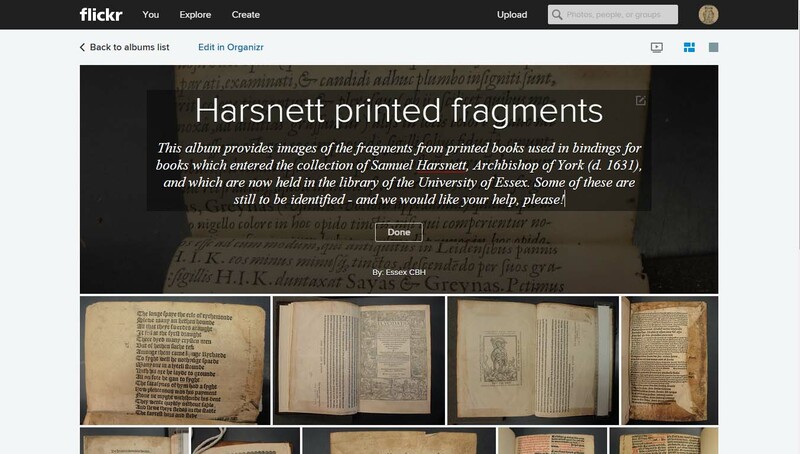 The first stage of the Lost Manuscripts project concentrates on a small and under-studied collection of fragments, those in bindings of books once owned by Samuel Harsnett and now housed in the Library of the University of Essex. 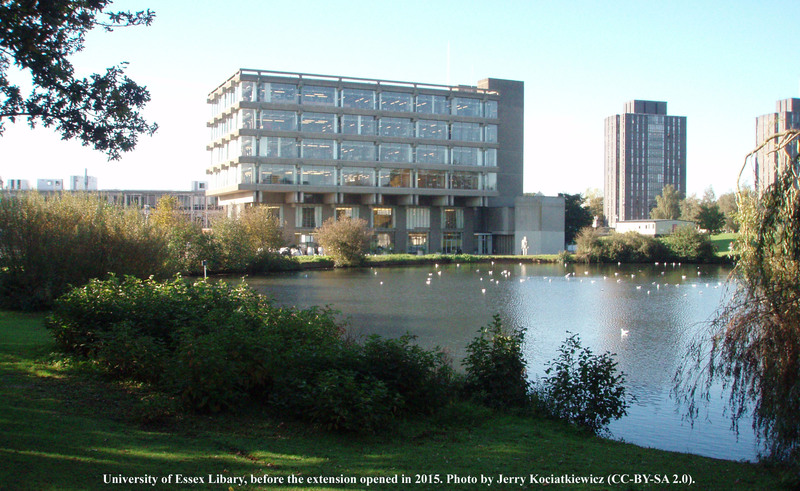 The University of Essex was founded in the early 1960s, but the concrete-and-glass brutalist architecture of its Library is home to an eclectic range of Special Collections, some of them centuries older than the institution in which they now sit. Among those collections are over eight hundred volumes of early printed texts once owned by Samuel Harsnett (1561-1631), born in Colchester and, in his last years, Archbishop of York. The majority of those books are in sixteenth- or early seventeenth-century bindings and a significant proportion of those include manuscript fragments. The remit of the pilot project, generously supported by seed-corn funding from the University of Essex, is to identify, catalogue and digitise those fragments. The intention of this pilot is to establish the architecture of the database and to establish the cataloguing standards it should follow by using the Harsnett fragments as a sample. All those in this particular collection are in situ in bindings and, in order to widen the range of types of survival catalogued, they have been supplemented in this pilot by a very few related fragments held in other collections. The research for this pilot was undertaken in April-July 2015 with David Rundle acting as Principal Investigator. it was not only manuscript waste that was used in bindings but also sections of print. There are about fifty examples of this habit in the Harsnett collection, including some very interesting specimens. They have been excluded from this website but in order that they are available for study, a Flickr album has been created where they are being uploaded. You are invited to provide any information you have about those which are not yet identified. in total, there are over 300 manuscript fragments to be found in bindings. The inaugural phase of the pilot has not catalogued all of these: at present, about a quarter are published on this database, with further releases to occur in the summer and autumn of 2015.
in particular, those fragments made of parchment but blank -- so presumably from a previous manuscript but with their source being unidentifiable -- have been excluded. a priority for the project is to provide search functions to help users in their own identification of fragments. Some of that is already in place but will be developed further in the coming months, and your input on what you would like to see would help us shape that element of this website. At this early stage in the project's work, we are very keen to hear your feedback -- comments, advice and thoughts. Please do contact us, using the form on this website.